북한의 계획경제는 1990년대의 경제위기를 지나며 와해되었다. 이 과정에서 북한은 화폐화와 시장조치를 받아들였다. 시장화는 인민들 삶에 깊게 뿌리내리고 있었다. 2000년대 이후 북한의 화폐화와 시장화는 심한 경로의존성을 나타내어, 북한 당국이 이를 되돌릴 수 없는 상태에 이르렀다. 현재의 북한은 기존의 생산ㆍ분배시스템에서 새로운 시스템으로 나가는 과도기에 처해있다. 북한은 기존 지배체제의 안정성을 유지하면서 시장화를 동시해 추진해야 하는 딜레마에 빠져있다. 이를 해결하기 위해 북한은 관료에 의해 조정되는 시장을 구축하고 있다. 현재 북한은 화폐를 투입하여 생산과 유통, 분배를 조직하는 사회적 과정을 장악하기 위한 경쟁이 치열하다. 시장은 부를 차지하기 위해, 서로 다른 권력주체들이 벌이는 각축장이 되었다. 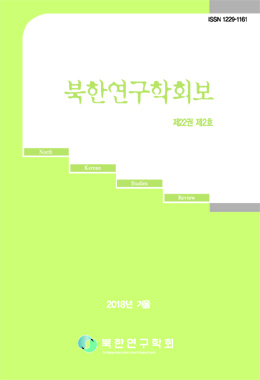 권력은 매우 역동적인 양태로 시장에 이식되고 있다. 현재 북한의 시장은 경제위기 초반의 자생성을 잃고 관료들에 의해 조정되고 있다. 시장영역과 계획영역은 상호 침투하고 있다. 시장은 주민들의 소박한 기대를 실현하는 공간이라기보다 새로운 지배질서를 회임(懷妊)하는 공간이 되고 있다. 북한은 관료적 시장을 특징으로 하는 새로운 경제질서를 정립시키고 있다. The planned economy of North Korea was collapsed through the economic crisis in 1990s. Through this period, North Korea accepted the monetization and the market measures. However, the rapid progress of monetization and marketing inevitably resulted in corrosion of recipient system. Nonetheless, North Korea isexpressing the path dependence that cannot be recovered to exclude the entire market with fear of the erosion. Today, North Korea is undergoing the transition period into new systems from original production and distribution system. North Korea is facing the di-lemma of maintaining the stability of original governmental system and carrying forward with marketing at the same time. As a resolution, North Korea implanted power on markets for marketing of the power. Currently, North Korea is fiercely competing to overpower the social process of organizing production, manufacturing and distribution with currency involved. The market has become an arena of competition where different subjects of pow-ercompete to win the wealth. As aresult, markets in North Korea lost the initial autonomous characteristics during economic crisis but are controlled by the bureaucrats. Market sectors and planning sectors are mutually penetrating. The markets in North Korea are not somewhere residents realize their small expectations but rather somewhere a new ruling orders are embraced. North Korea is establishing new economic orders with characteristics of bureaucratic market.